Just a 10-minute walk from Solstrand Hotel, Bjørnefjorden Golf Club has a nine-hole park and forest golf course, driving range, putting and pitching green, modern full swing golf simulators. Equipment is available for rent. 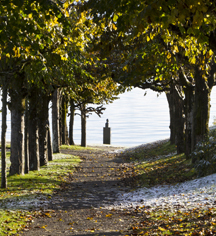 Situated right by Bjørnefjord, Solstrand Hotel has private entrances to hiking trails leading to beautiful views over the fjord and mountains. 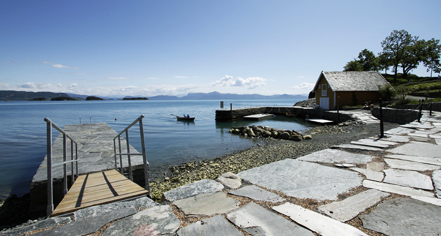 The panoramic scenery around Solstrand invites many different hiking and cycling possibilities, which vary in length and terrain. Maps and details are available at the hotel. Solstrand - Møsnuken, 4 hours return. Challenging moutain hike. Solstrand - Borgafjellet, 2,5 hours return. Challenging moutain hike. Solstrand - Liafjellet, 3 hours return. Moutain hike. Solstrand - Moldaneset, 2 hours return. Walk in lean terrain. Solstrand - Os Village, 40 min. return. Walk in lean terrain.